Nest is close to delivering what's become its most requested product: a video doorbell. On Wednesday, Nest offered a preview of the device in San Francisco. The Nest Hello is a smart, black-and-white plastic doorbell that has a button at the bottom and a camera at the top. 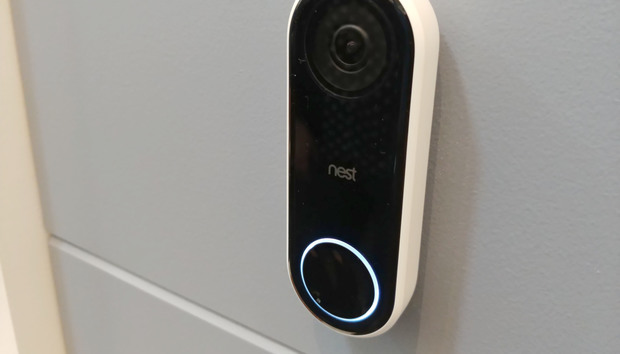 It will send alerts to the Nest app, from where users will be able to see a live high-definition video stream with audio, pan left and right on the camera image if needed to get a better view, and speak to whoever is at the door. Nest said the app will also come with a number of pre-programmed responses for times when owners want to send a voice reply, say "I can't come to the door right now," but they are in situations where it's impossible to do that live, such as in a business meeting. 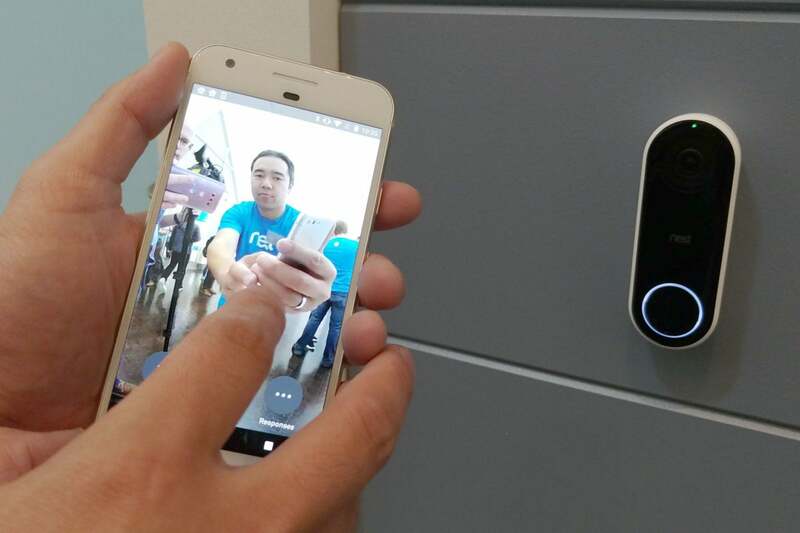 The Nest Hello video doorbell demonstrated in San Francisco on September 20, 2017. Through Nest's subscription cloud video service, users will also be alerted to highlights from hours of streaming, and they can access facial recognition features that can determine whether a stranger or someone you know is at the door. Nest Hello will be available the first quarter of 2018. The company didn't announce a price. Nest also announced its entry into the home security market with the Nest Secure, and a new outdoor home security camera, the Nest Cam IQ Outdoor.